Do you have a natural history collection but need to curate and care for it? We can carry out an assessment on your collection so you know what is in your care and what issues need to be considered. Do you know what you have but you need it conserved and maintained? We are happy to carry out conservation on your collections to stabilise them, restore them where possible and store them in the required manner which will increase their longevity and condition. We can organise your store and help with your data management to allow you to maximise the effectiveness and accessibility of your collection. We can carry out curatorial work on your collection if required. This may be the storage of specimens within your venue, the way in which they are stored and the maintenance of your store. Looking at environmental conditions and pest management. We can carry our conservation work on your natural history collections. This may be to stabilise any damage that has occurred with a particular specimen and repair this damage where possible. Working closely with a team of specialist taxidermists, we can provide you with new taxidermy and skeletal mounts for your venue. We can take your brief and produce a high quality piece of work for use in education, displays or as an addition to your collection. As natural history collection specialists we can come to your venue to assess your collection. We can advise on the condition of your collection and take into consideration any special treatment that might be needed, finalising our work with a report for your records. 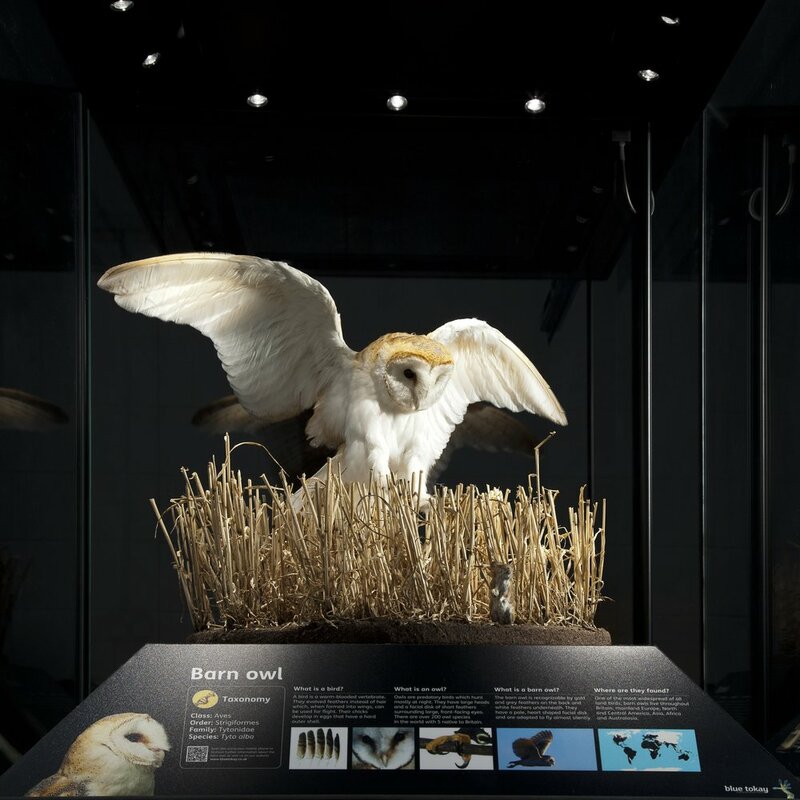 Blue Tokay is happy to come to your venue and help you use your natural history collections.We can interpret, and design displays for your given space within your budget and time frame. We can look at your store to make sure that is works as an accessible space for your collections. We can organise the existing space and solve the data management needs of the collection, making sure that you can use the information.